The ways in which education and learning affect urban possibilities and challenges have been given little attention in the urban agenda. While cities are increasingly positioning themselves as global hubs for higher education, recognizing that high-skilled workers are critical for innovation and growth, education has much more to offer cities than economic prosperity alone. The Global Education Monitoring Report’s publication Place: Education for Inclusive and Sustainable Cities, explores education’s role in urbanization and city life, and in particular the ways in which the right sort of education can foster inclusion in urban centers, particularly for migrants and refugees. Cities are the sites of massive inequality. Many city residents, including migrants, slum dwellers and refugees are denied access to vital services, including public education. 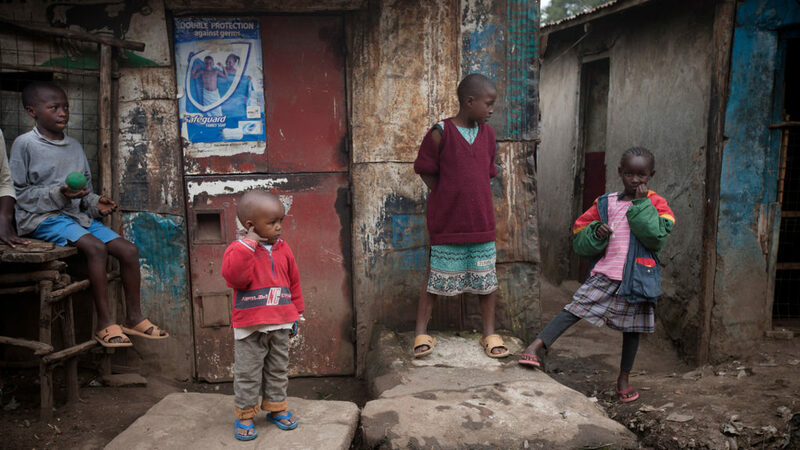 With more than a third of urban residents in lower-income countries living in slums or shantytowns in city centers or urban peripheries, we must work better together to reduce inequalities resulting from inequitable access to public resources, including education. This point is especially important given that we currently face the highest levels of global displacement in modern history. More than half of the world’s refugees under the age of 18, and 6 out of 10 refugees live in urban areas, meaning city officials are often left to deal with the influx. Turkey has been the recipient of a huge proportion of ongoing migrant and refugee flows into Europe. While 85% of refugees in the country are living in urban areas, just 30% of these refugee children are enrolled in school. This is significantly lower than the 85% school enrolment rate amongst refugee children living in camp settings. Given the long-term nature of displacement and the magnitude of the challenge in some countries, national and urban education systems that receive forcibly displaced children and youth need to better adapt to support their long-term integration. Not only is education a basic right for all, but it is in the best interest of our societies to educate and engage with those who are disenfranchised and include them in urban planning. Education can’t stop in schools – migrants to cities face a number of challenges while trying to gain employment, such as discrimination, language barriers, unemployment, and exploitation in the informal economy. Addressing these requires, among other interventions, a focus on developing skills, and lifelong learning opportunities are essential. Worldwide there are over 700 million adults, who are unable to read a single sentence. Yet, in the poorest countries, fewer than 5% of adults have ever attended a literacy program. The right type of education can also help address discriminatory attitudes which can contribute to social marginalization. For example, teachers routinely exhibit discriminatory attitudes towards children of migrants and minorities; however, teacher training can help reduce prejudice and discrimination. For example, a randomized evaluation in India found that teachers gave worse scores to lower caste than higher caste children. The evaluation suggested that 20% of the performance gap between higher and lower caste students was attributable to caste-based discrimination. A study in Shanghai found that teachers of first-graders were likely to report that migrant students performed further below their grade level in language than local peers, even after controlling for background characteristics. Policies and practices exacerbate inequality in education, and at the same time, education and knowledge can contribute to inequality in cities. The growth of urban knowledge economies can have unintended consequences that increase inequalities, such as gentrification and middle class flight. Urban development must therefore be about the people living in cities, rather than focusing on economic growth. This calls for a balance between education-related activities that improve the competitiveness of cities with those that improve social inclusion. Strong economic and housing policies, alongside steps to halt segregation in education can help. Many cities are starting to integrate learning as an essential element of promoting sustainable economic, social and environmental development. Cities such as Amman, Jordan; Balange, the Philippines; Bahir Dar, Ethiopia and Ybycuí, Paraguay are all becoming learning cities that promote inclusive learning, community engagement, skills development for the workplace, and expand the use of modern learning technology in order to nurture a culture of learning throughout life. One of the most successful examples is Medellín, Columbia that transformed itself from one of the world’s most violent cities through innovation based explicitly on education-led social change. Mayor Sergio Fajardo’s 2004 strategy – Medellín, la más educada (the most educated) – involved the community in planning and designing investment and allocating funds, and crime and violence fell dramatically as a result of city reforms. The investment program targeted crime and violence in the poorest areas through integrated urban planning, which included transport systems, innovative learning spaces and, significantly, the construction of 120 new public schools and nine library parks. To reduce inequality, Fajardo focused on improving public education that he believed ‘must be the motor of social transformation.’ The city allocated up to 40% of its municipal budget to education and the public utilities company was used as a key source of sustainable financing. The city also developed a library network to promote social interaction and inclusion and bring education to marginalized communities. There are wide reaching benefits to integrating education into urban development discussions. Stronger advocacy and leadership by education stakeholders and urban leaders, such as mayors, are needed if education is to gain a seat in discussions on the future of cities. As cities grow increasingly important, emphasizing education strategies are key to making them sustainable and inclusive. Whether or not we get this right can have far reaching implications which would be best not to ignore.